I love to eat and we have a great selection of food to choose from in Thurston County. 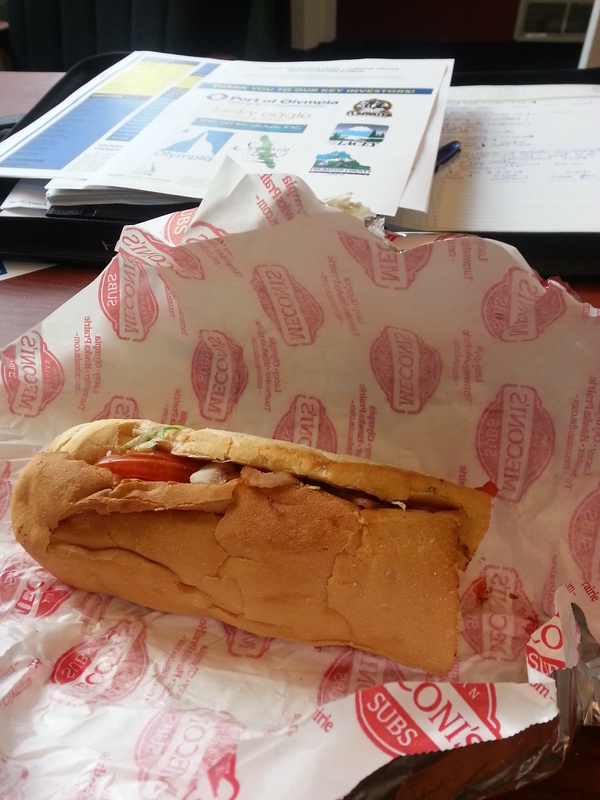 Tonight I was working late and enjoyed a Meconis Subs B.L.T. Bacon, lettuce, tomato and mayonnaise on a toasted roll. They serve it hot and it hit the spot. They have three locations to choose from and another one coming soon to the Hawks Prairie area. Enjoy.